Este prensador de frutas cambiará por completo su manera de hacer zumo de frutas, sidra o incluso vino. Perfecto para cualquier tipo de frutas duras, como las manzanas o peras, o con pulpa, o con frutas blandas como las uvas o los frutos del bosque. Hecho de placa de acero y de soporte de madera noble, con este prensador de frutas de 6L podrá hacer zumos de fruta sin esfuerzo. Lleva un "mecanismo de enroscado y desenroscado", en los que las piezas de madera prensan la fruta cuando gira las manivelas. Llévese este magniífico comedero de pájaros de madera si pide esta prensadora de 6L. 12L o 18L. Aproveche esta oferta temporal. Auque esta prensadora puede ser usada con grandes trozos de fruta, se recomienda utilizar fruta pre-cortada. 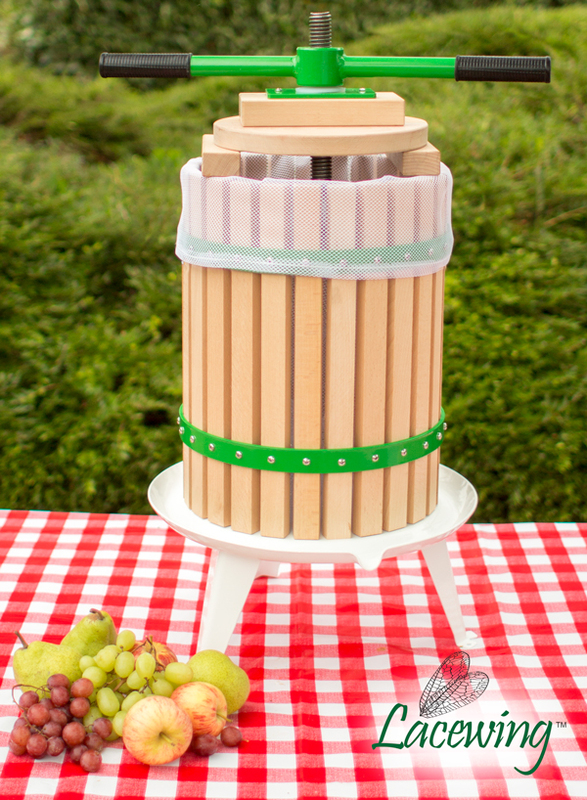 "Brilliant press and juices well and easy to use , i had to cut out 2 more blocks of wood to get more pressure onto the apples to maximise juice, but that was no hardship. Was a nice touch to get a straining bag as well included which save me £5/6 online. Well worth the money ." "tried it out works well"
"made cider but waiting to see if it has worked. Cider press worked brilliantly ." 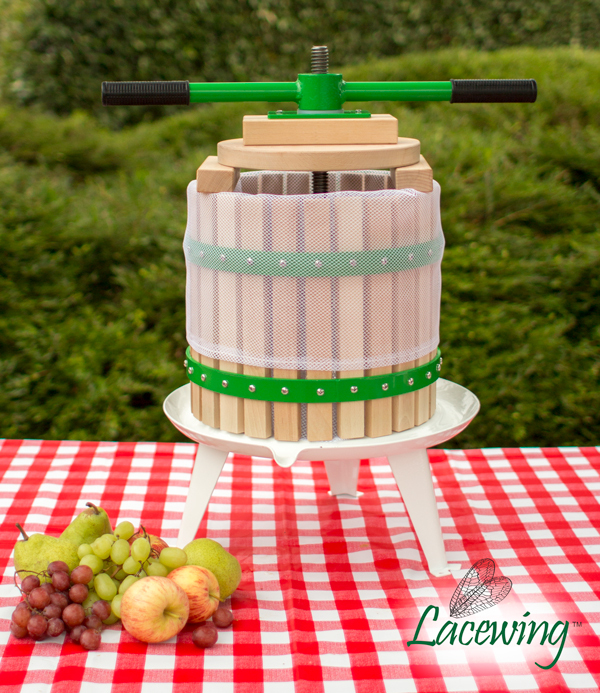 "Ideal for beginner.very strong and sturdy, personally great machine"
"This product is no use at pressing apples. Apples need to be crushed then pressed. Your picture gives a false impression as it show's whole apples in the press." "I have no complaints about the actual product, except that that the screw piece was tight on the screw in some places, however this was quickly fixed by screwing it and correcting any abnormalities in the screw."